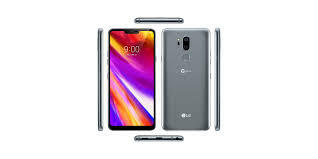 LG is just a week away from announcing its next flagship phone, the G7 ThinQ, but chances are, we’ve going to know every last thing about it before then thanks to a nonstop flow of leaks. A new image of the phone was posted to Twitter today by VentureBeat reporter and frequent phone leaker Evan Blass, showing every single side of the upcoming phone. There have been plenty of G7 leaks already, but this one leaves us nothing left to guess at — at least when it comes to the phone’s design. Previously, G7 leaks showed that the phone would come in five colors, have the ability to hide its notch by blacking out the top of the screen, and include an extra button the left side. Last week, CNET reported that the button would be used to activate the Google Assistant, continuing the thus-far maligned trend of dedicating buttons to activating virtual assistants. Until now, that’s largely been limited to Samsung’s Bixby, though; the Google Assistant is at least useful, so it may not be so bad.